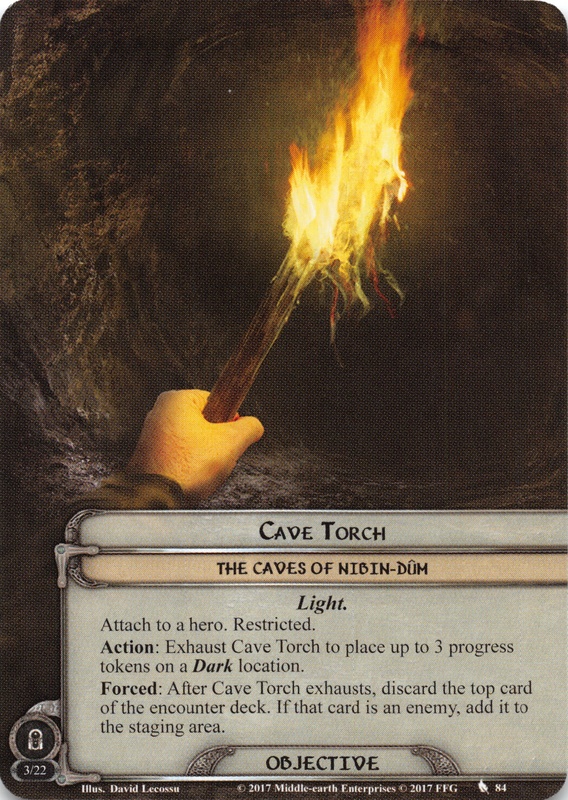 Action: Exhause Cave Torch to place up to 3 progress tokens on a Dark location. Forced: After Cave Torch exhausts, discard the top card of the encounter deck. If that card is an enemy, add it to the staging area.